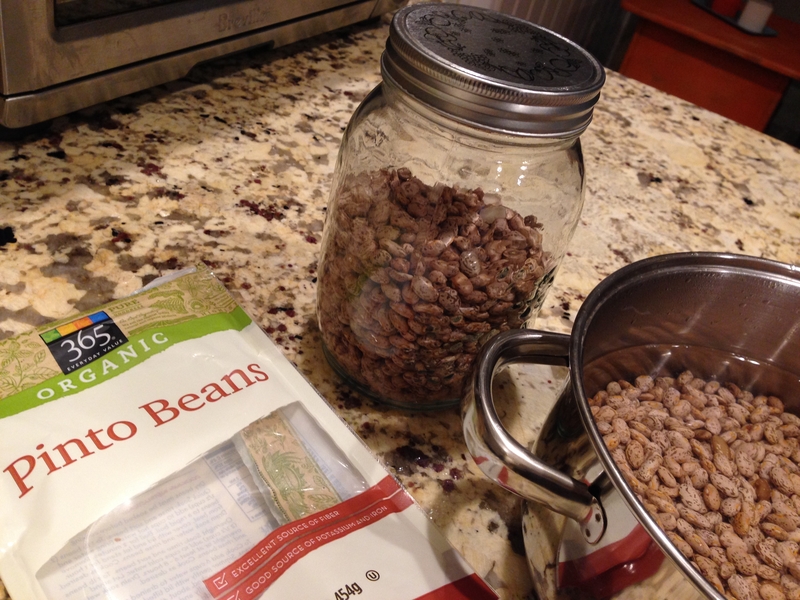 On one hand beans have had an excellent reputation since the beginning of time being a cheap, accessible, nutritionally dense food and on the other, many claim that beans are hard to digest causing gastrointestinal distress and diets such as Paleo are against them all together. I have already said a few times on this blog that as soy, dairy, gluten, legumes, sugar, and other “anti-foods” (as I call them) are concerned, my deal is moderation. I don’t eat meat, fish, or poultry, do eat processed foods in very limited amounts (think chips), and avoid ingredients I can’t pronounce, and rarely partake in artificial colors and sweeteners. 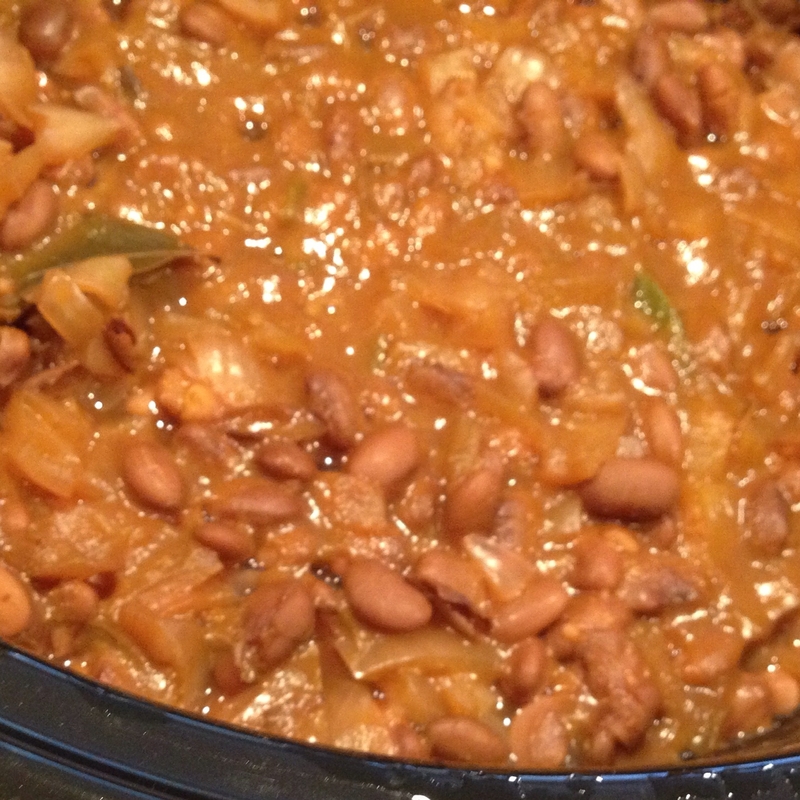 I actually did start noticing an upset stomach after eating canned/cartoned/restaurant black beans about 3 years ago but home soaked, homemade beans NEVER do this to me! Soaking not only shortens cooking time, but helps to reduce gas. 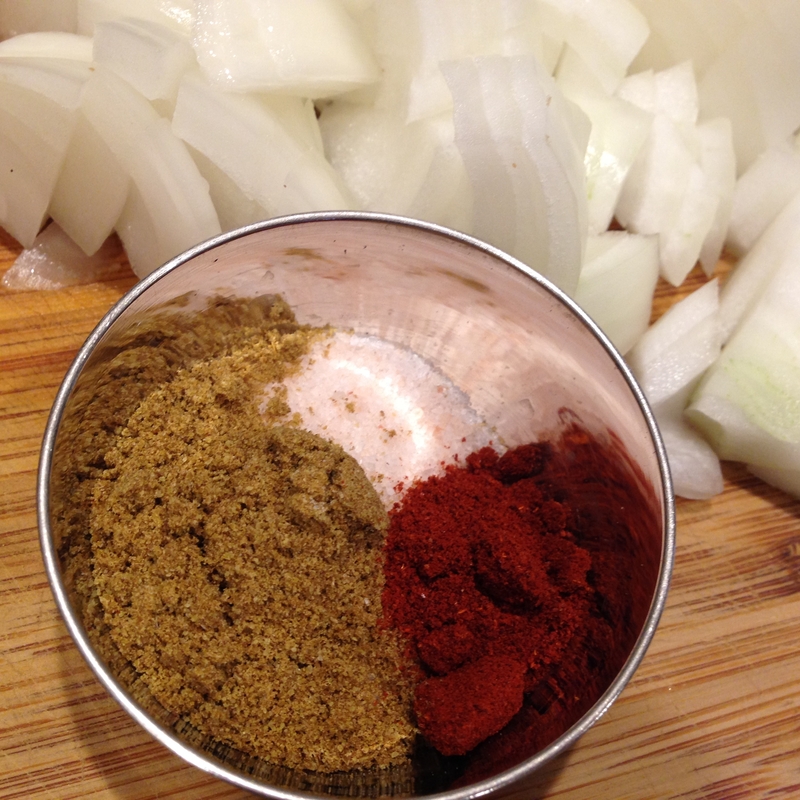 I found that the spice combination of cumin and paprika really lent that Mexican restaurant flavor even more so than including ground coriander, fresh coriander/cilantro, or oregano. 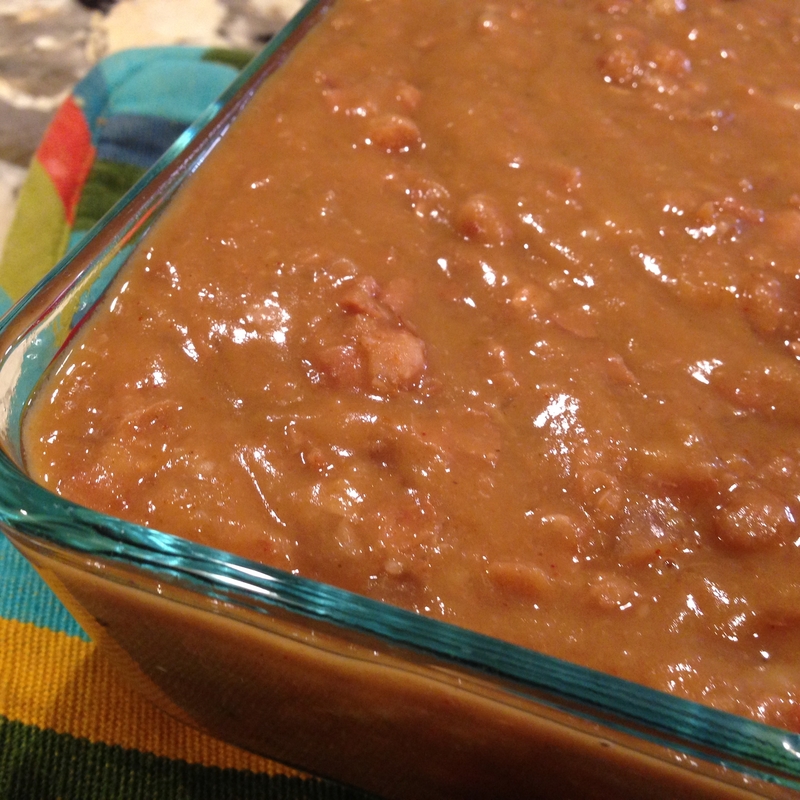 This is one dish I tested multiple times before deciding to share with you! 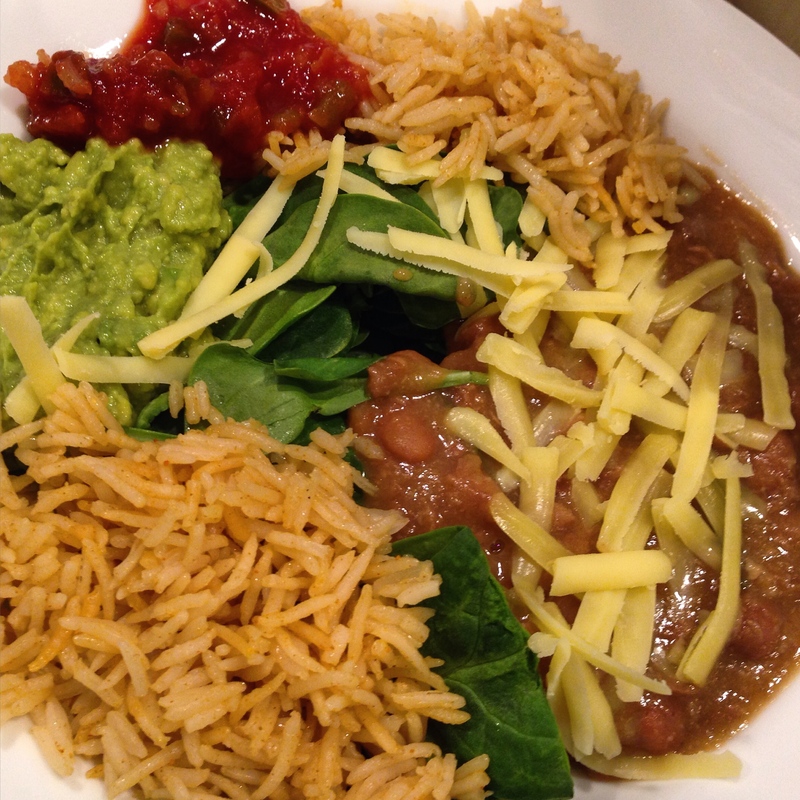 The slow cooker truly does make this a no fuss dish. I put in all of my drier ingredients first as not to splash. 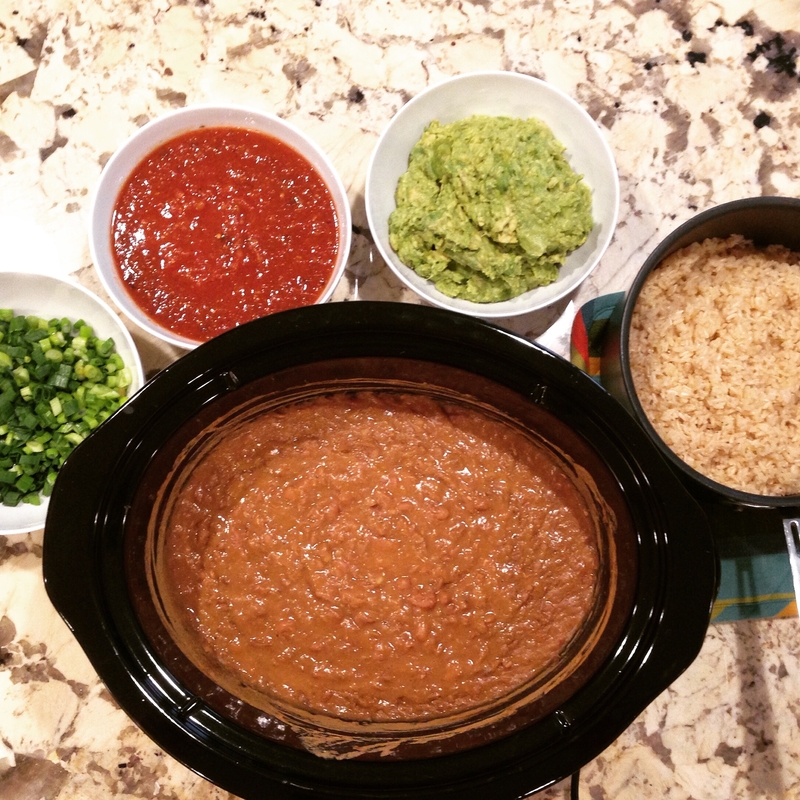 All in all, it took 15 minutes at night to put the beans to soak and get my ingredients chopped and ready, 10 minutes in the morning to rinse and drain the beans and throw everything into my Crock Pot, and 20 minutes in the evening to get the rest of the meal together before serving. You can use broth, water, or a combo. There is something about jalapeños stewing all day that removes their heat and leaves behind the actual flavor. I’ve used several types of green peppers as you will read below and they all worked well. Don’t let the onions scare you if they are normally disliked. 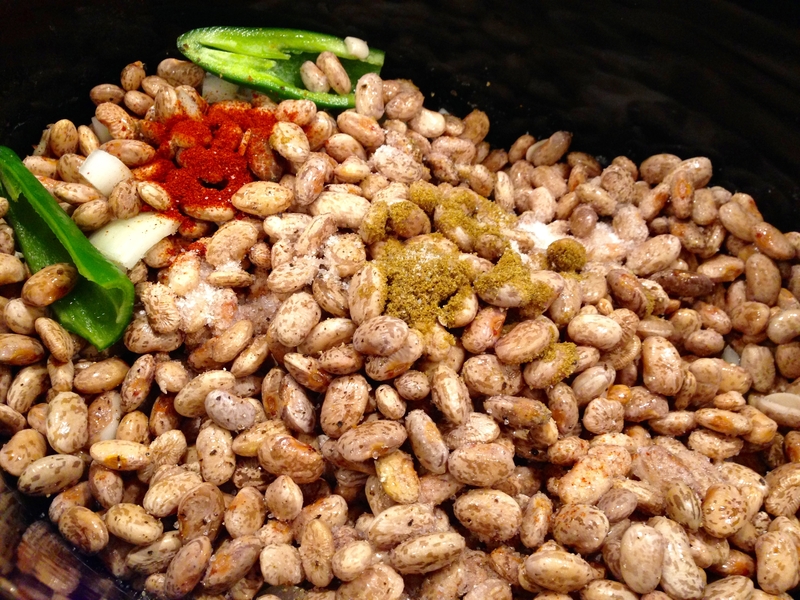 They practically melt into the beans when you mash them up at the end and are not visible. There’s just a fantastic profile, not an obvious oniony one! Mash away for a chunky or creamy texture keeping a butter knife on hand to scrape off your masher intermittently. This makes a large quantity but stores well in the fridge all week and in the freezer longterm, thawing and reheating fairly fast. 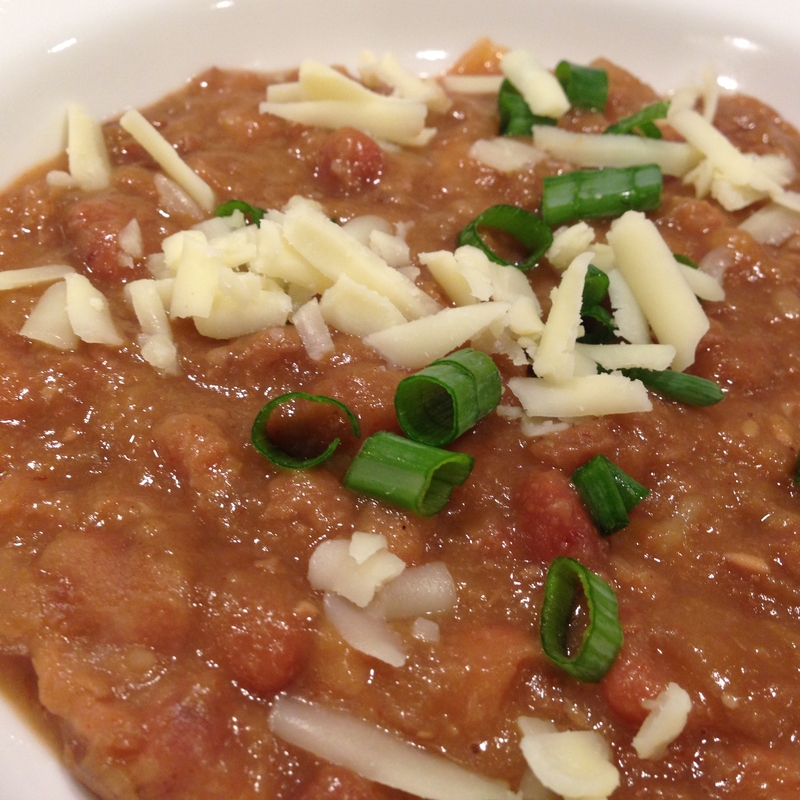 The refried beans come in handy on their own as a dip, side dish, or snack as well as for bowls, burritos, taco, nachos, enchiladas, and I’ve even used them to thicken up a chili which is a Rachael Ray trick I saw years ago! Can’t you just tell how inviting and belly warming they look? 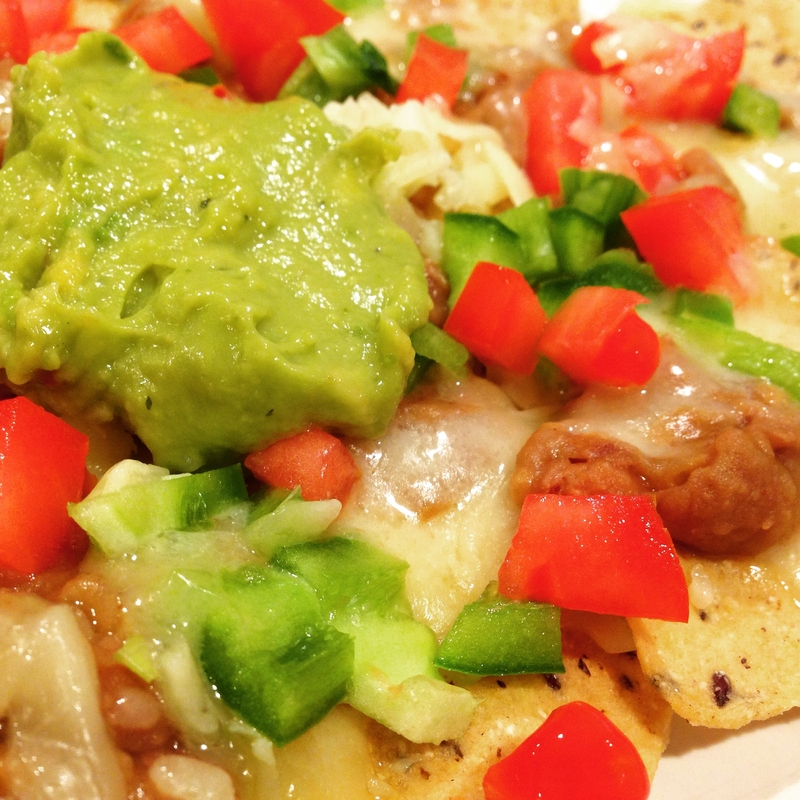 As a base for nachos or mixing in a bowl with rice, you can satisfy your craving for this comfort food. 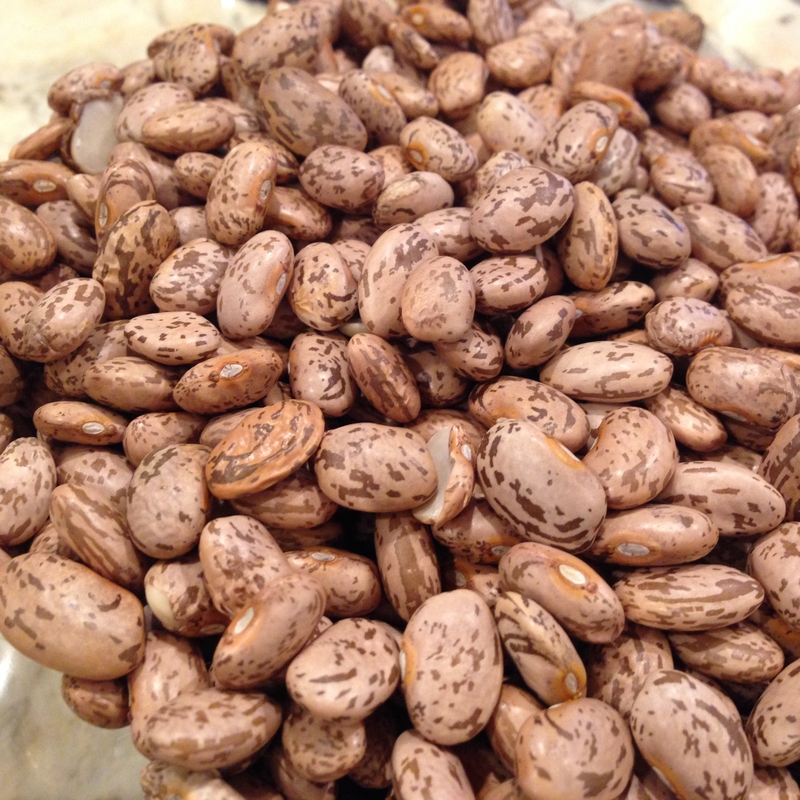 Soak pinto beans in enough water to cover them completely overnight OR you can bring them to a boil, turn off heat, and leave covered for 1 hour. 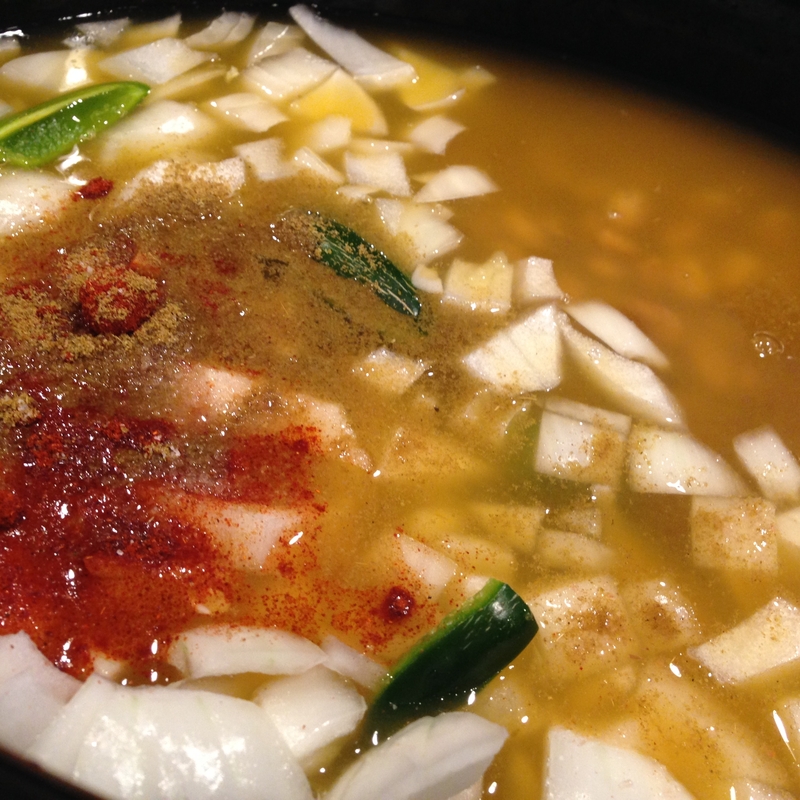 Place all ingredients in your slow cooker and give a quick stir. Cook on LOW for 7-8 hours or HIGH for 5-6 hours. I have even done a combination when I’ve been home like 3 hours high then 4 hours LOW or vice versa. 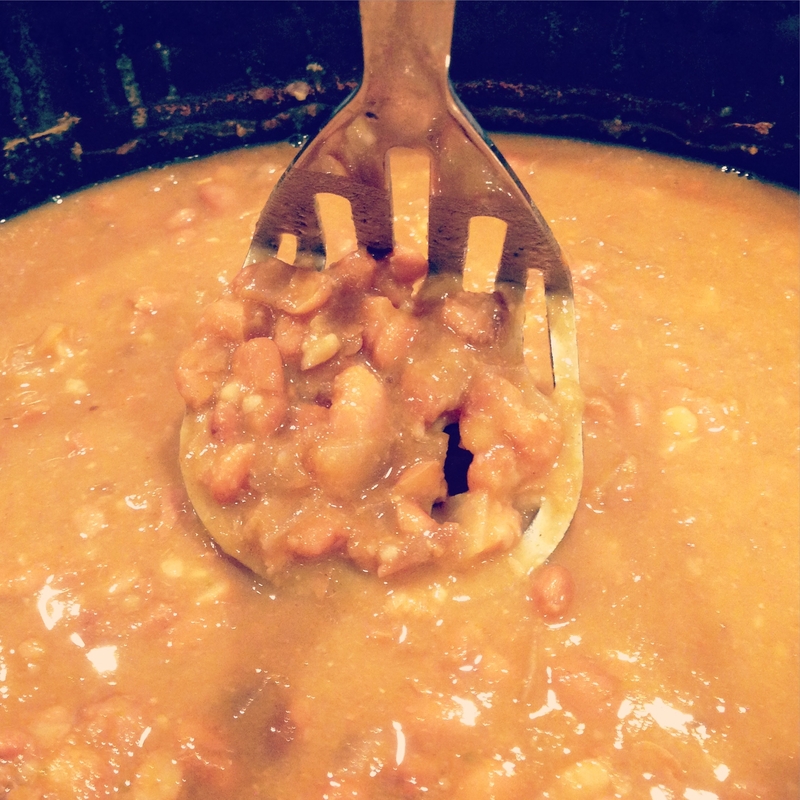 When beans can be easily poked with a fork and easily cut into, they are done cooking. Remove peppers and bay leaf then mash using a potato masher to desired consistency and a hand blender following this for creamier beans. Store in the fridge once completely cooled for up to 1 week and in the freezer up to 3 months. I have put them in a freezer safe Ziploc bag and then put that bag in another bag just for extra insurance against freezer burn 🙂 . I appreciate that! I think you’ll love them :). Thanks for pinning!